Positioned in the serene land of Bolpur in Birbhum District, Shantiniketan is an amazing and tranquil place that displays ideal harmony of humanity with nature. Built by famous poet and noble prize winner Rabindra Nath Tagore, Shanti Niketan is a perfect place for the tourists in search of calmness and cultural extravaganza. 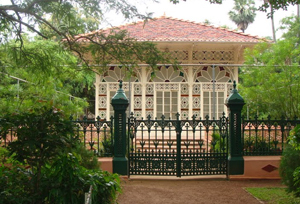 If you add a complementary trip to Shantiniketan to your Kolkota trip, you are sure to double the excitement and take home some incredible moments. This 03 nights and 04 days itinerary takes the tourists to a comprehensive and gratifying tour to Kolkata and Shantiniketan. This tour is an ideal excursion for the tourists to get drenched in ancient heritage and spellbinding serenity far-flung from day-to-day bustle.